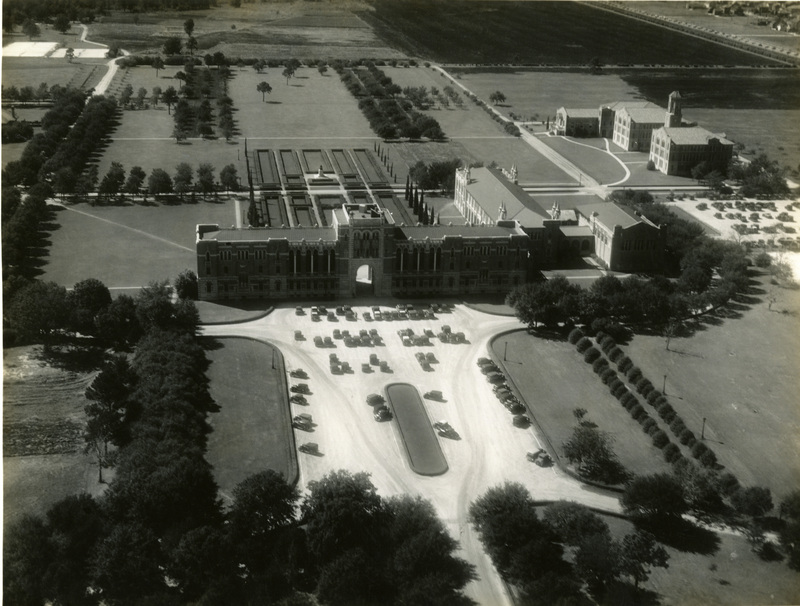 Just by chance I recently came across an almost identical shot taken during the 1959 commencement ceremony and you can see that the circular hedge was still there. Will keep my eyes open for information about what might have happened between May, 1959 and October, 1962. That’s a lot of fountains. 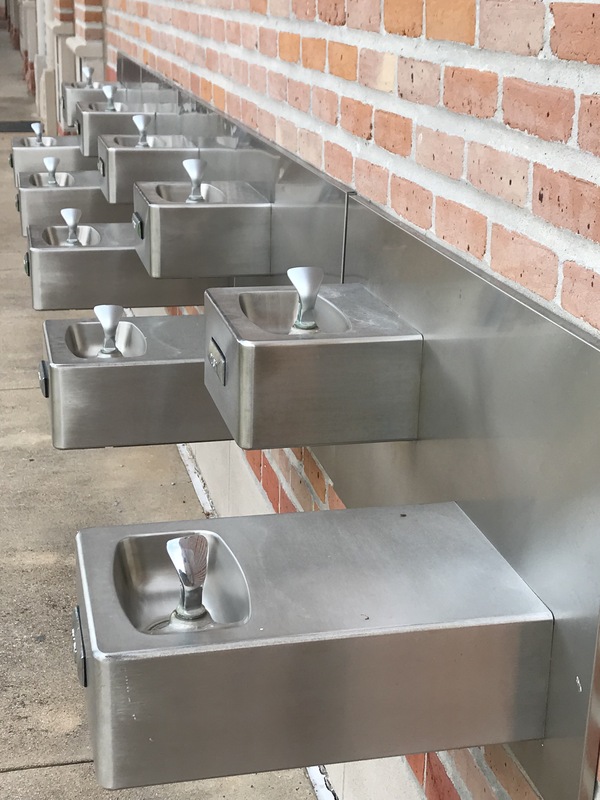 Those are all the water fountains on the north side of Reckling Park. I’ve used them many times to fill my water bottles. I don’t know why they placed so many. It’s mysterious. Looks cool, though. They were useful when we had 5000 in the stands instead of 300. 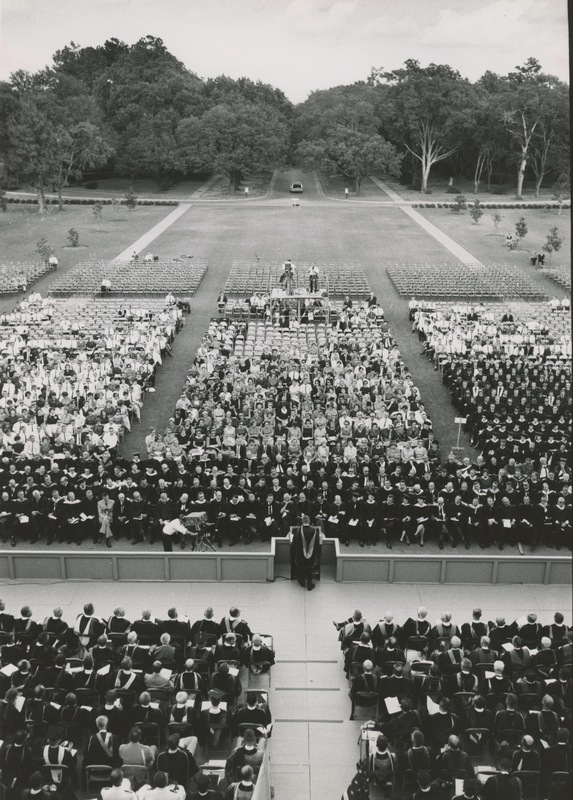 I can tell you that the 1960 commencement ceremony (for my B. A.) was held in Autry Court because of rain. 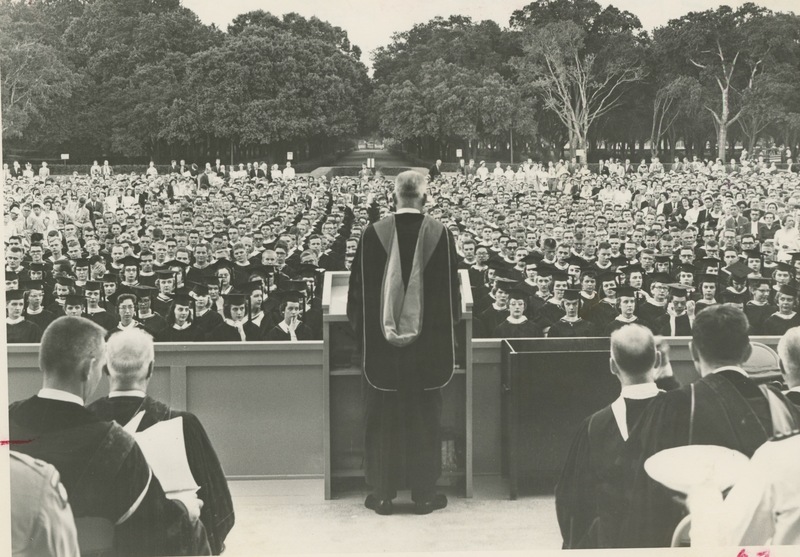 The 1961 ceremony (for my B. S.) was held in front of Lovett, similar to the 1959 event shown in your photo.